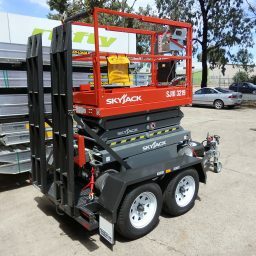 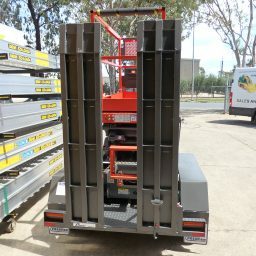 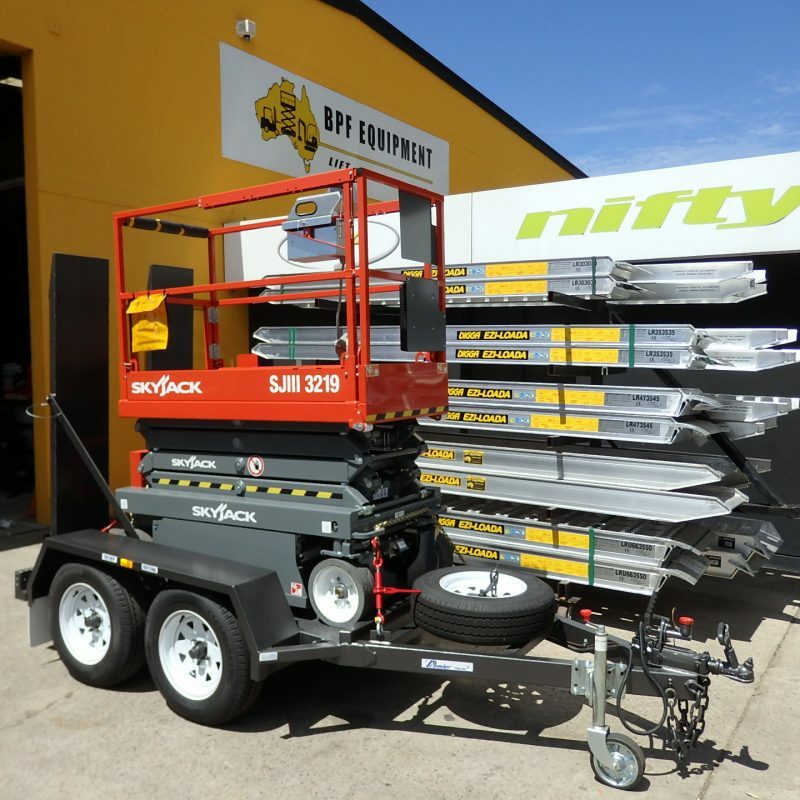 New Skyjack 3219 19 Foot DC Electric Scissor Lift mounted on new purpose built trailer. 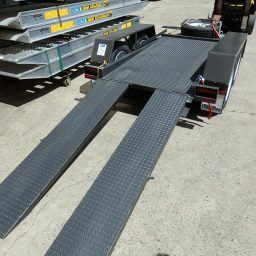 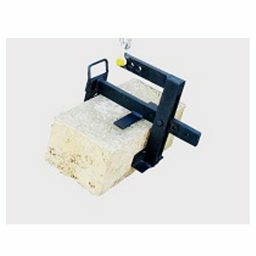 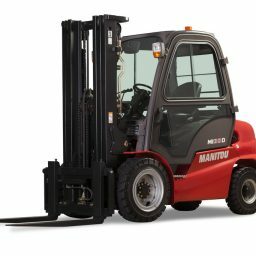 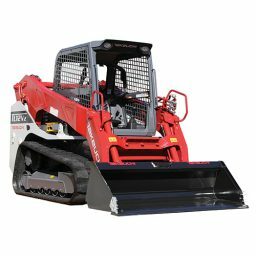 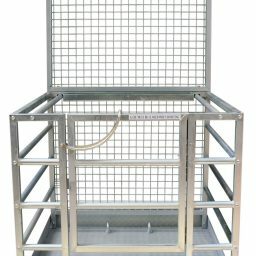 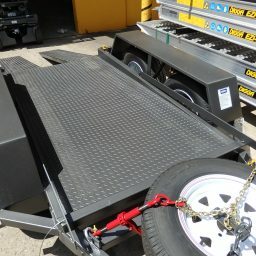 The trailer has drop axles and specially contoured deck to assist with approach and departure angles. 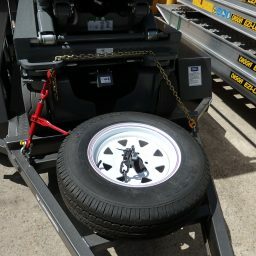 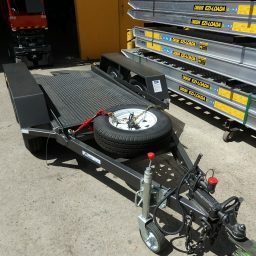 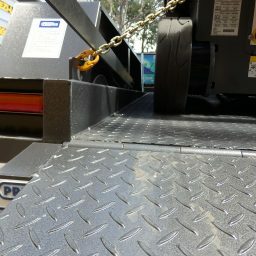 Trailer is a 2000KG GTM with hydraulic over ride brakes as standard. 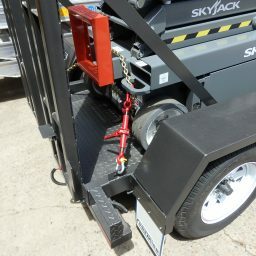 Optional remote electric brake version (plug in controller instead of hardwired to vehicle) available.